Here I have no doubt that this device will be available at a very low price and better features as compare to other available mobile phone. What makes Nokia 3 unique? 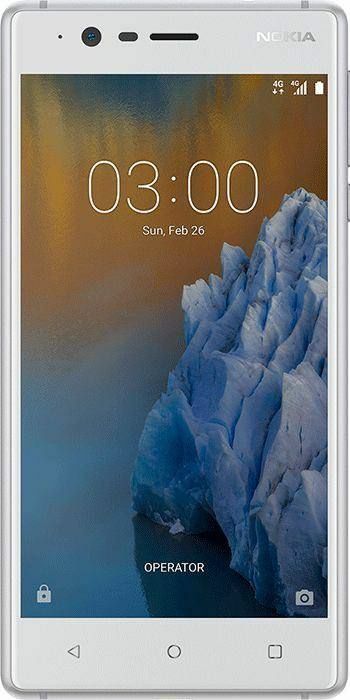 The Nokia 3 comes with a 5.2-inch IPS LCD display that exhibits an HD resolution of 720 x 1,280 pixels, resulting from a density of 282 pixels per inch. The capacitive nature of the touchscreen display is highly respondent to multitouch. Powering the smartphone is a quad-core Cortex A53 processor, clocking a speed of 1.4GHz and a 2GB RAM. This processor set is laid on a chipset of Qualcomm Snapdragon 425 MSM8917 and is assisted by a graphics processor of Adreno 308. Together, they form a good combination of power for multitasking and gaming. The Nokia 3 is equipped with a 13MP primary camera, which is further enhanced with features like autofocus, LED flash, ISO control exposure compensation and High Dynamic Range mode to give you good images of 4,128 x 3,096 pixels. The 5MP front camera forms a decent option for your selfie and video calling requirements. The smartphone is made on an internal storage of 16GB which can be further expanded upto 64GB with the help of a microSD card. The Nokia 3 runs on a 2,500mAh li-ion battery, which itself is enough to keep the device running for long hours. In the connectivity department, the smartphone offers a host of features like dual SIM slots, 4G, voice over LTE, Wi-Fi 802.11, b/g/n, mobile hotspot, Bluetooth v4.0, A-GPS and a microUSB 2.0 slot. Until this date, Nokia or HMD global didn’t make any official announcement Regarding this android Mobile. But as per Expectations, Nokia 3 launch date In India may be June or July 2017. But before official Nokia 3 launch date in India, this will be available to Buy in China.